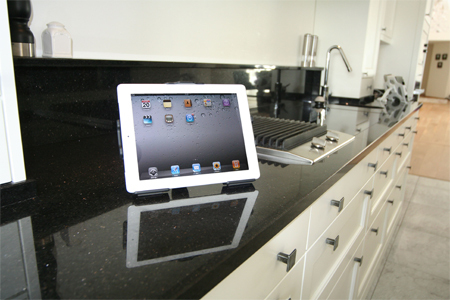 When using the MultiStand it is easier to carry the iPad around with you. You easily place the iPad in the stand, it is then firmly attached wherever you go! Convenient to use anywhere at home, in the car or in the office. 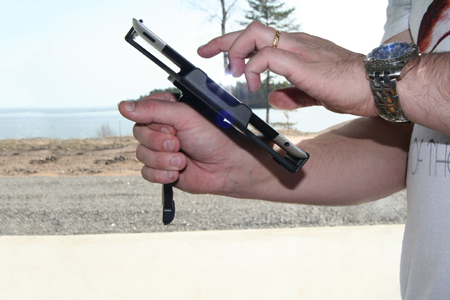 Diminishes the risk to drop the device, since the stand is easier to grip than the device itself. You can use the stand in several angles, just adjust the position depending on area of use. Also adapted for use in the lap. Made of black ABS plastic. Tablets should not be installed onto a car’s dashboard if they block the view or block key controls. 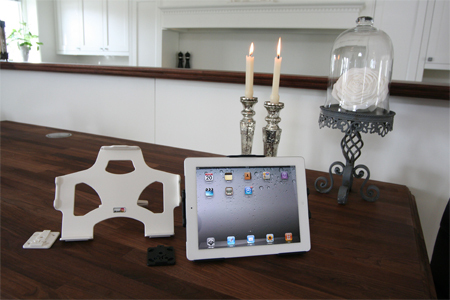 The ProClip is designed for installation of smaller devices (phones), not for large devices (tablets). 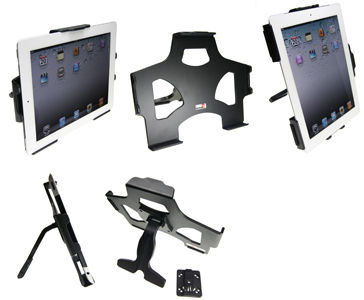 If you want to place a tablet onto the car’s dashboard, each combination of tablet-car must be examined in detail by you in order to determine if such an installation is possible in the specific case. Consideration should be given to the position and how firmly the ProClip is in place, as well as the size of the tablet you wish to use. Brodit will not give any recommendations for such installations. 1. The multi stand. To install the multi stand: Press the mounting adapter on the back side of the holder downward, so it slides out from the groove. Place the mounting adapter into desired position and screw it into place with the enclosed screws. 2. 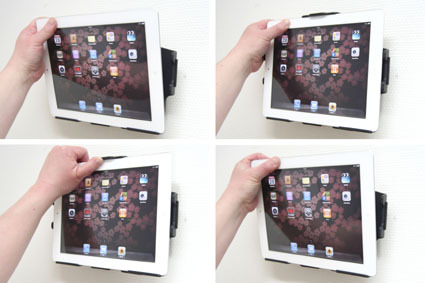 Place the iPad above the mounting adapter and press it downward so the mounting adapter fits into the groove. Press until you hear/feel it snaps into place. 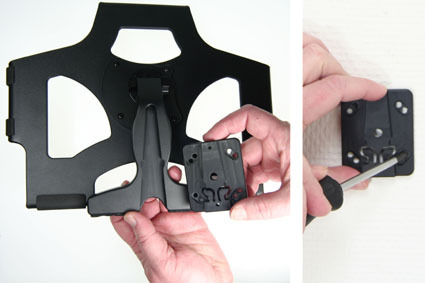 To remove the holder: Pull the holder straight upward, away from the mounting adapter. 3. 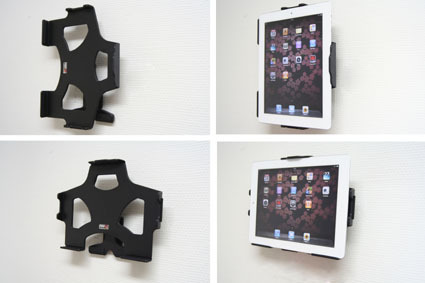 To place the iPad in the holder: Place the lower part of the iPad in the holder, then flip/press the upper part forward so it snaps into place in the holder. 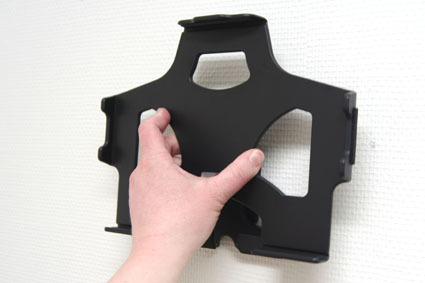 To remove the iPad from the holder: Press upwards on the upper part of the holder, in the same time pull the upper part of the iPad out from the holder and then lift it up and out from the holder.